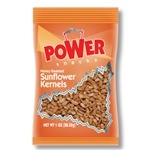 When you're stocking vending machine items, you want those products to appeal to every person walking by. 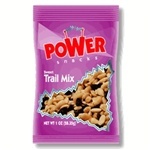 Explore vending snacks that can draw the eye and produce a sale every time. Pick a name brand or food category as you design the machine to your customers' needs. College students might be looking for that energy drink while families at a park prefer healthy vending machine snacks. Use your customers' cravings to drive your business forward. Buy your vending machine candy in bulk. Each item comes in a small package, which allows it to dispense from the machine with ease. Don't worry about machine malfunctions with quality packaging and goods filling those shelves. Vending-machine reliability will bring your customers back each time. Mix up the products on a weekly basis to further entice more visits. By adding chips, cookies, cereals and even hygiene items to the machine, you'll encourage more sales as time goes by. General Mills Chex Mix Single Serve Cheddar Flavor - 1.75 Oz. General Mills Chex Mix Single Serve Traditional Flavor - 1.75 Oz. General Mills Chex Mix Single Serve Honey Nut - 1.75 Oz. Kerry Original Chai Dry Mix Single Serve - 1.1 Oz. Kraft Jello Sugar Fat Free Instant Vanilla Pudding - 1 Oz. Golden Grahams Marshmallow Chocolate Snack - 2.1 Oz. Snack Keebler Bug Bites Cinnamon Graham - 1 Oz. Chex Mix Single Serve Bold Flavor - 1.75 Oz. Single Serve Kettle Popcorn - 1 oz. Chips Fritos Regular - 4 Oz. Simply Chex Caramel Chocolate - 1.03 Oz. Mini Twist Fat Free Salted Pretzel Single Serve Bag - 1.5 oz. Doritos Single Serve Nacho Chips - 1.75 oz. Candy Crispy King - 2.83 Oz.